Sellers who hoped to get astronomical prices have agreed to multimillion-dollar price reductions to attract buyers. The waterfront Hamptons estate known as Villa Maria boasts 11 bedrooms, Carrara-marbled baths, arched windows overlooking formal gardens, a heated pool, tennis court, guesthouse — and a $51 million discount off its original price. The 15-acre former convent in Water Mill, previously owned by the late shoe designer Vince Camuto, was listed in 2008 for $100 million. 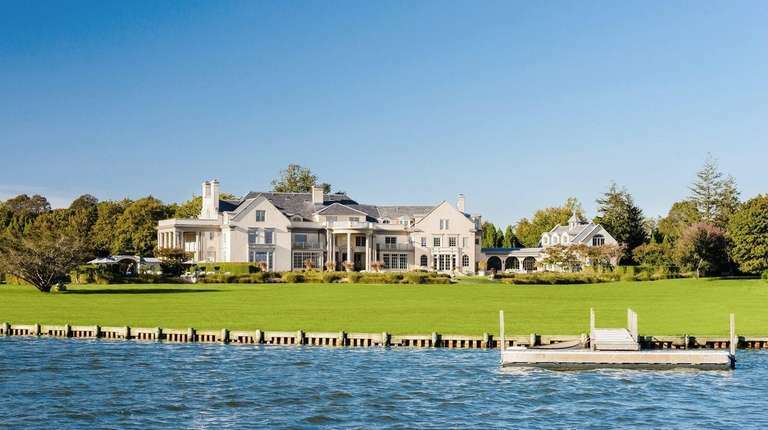 It sold last month for $49 million to two separate buyers; one paid $36 million for 11 acres, including the 20,000-square-foot main house on Mecox Bay, and the remaining land traded for $13 million, said a spokesman for Sotheby’s International Realty, which represented the buyer of the main house. Other luxury properties also have gotten steep price cuts this year. On Monday, a 10,000-square-foot oceanfront home on 6 acres in East Hampton fetched a closed-sale price of $40 million, according to Sotheby's, which represented the seller. It was a markdown of $29 million from the 2016 asking price. 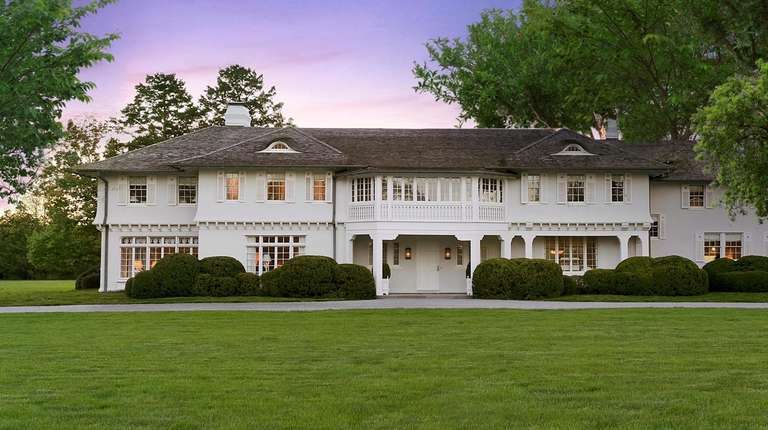 Lasata, the onetime childhood summer home of Jacqueline Kennedy Onassis, sold in January; a 7-acre piece of the East Hampton estate, including the 10-bedroom home, closed for $24 million, down about $15 million from its 2016 listing price, public records show. The volatility of the stock market so far this year, the impact of the new federal tax law and concerns about rising interest rates and political turmoil in the United States and abroad, have prompted some buyers to exercise caution, brokers said. Hamptons estates are finding buyers — when they’re priced right. And brokers say a growing number of sellers are agreeing to multimillion-dollar markdowns off once-stratospheric highs so they can finally strike a deal. "The market is very quick to tell you if you’ve priced [a home] correctly or not," said Frank Newbold, the Sotheby's associate broker who handled the sale of the $40 million estate in East Hampton. "If the market perceives the price as too high, people don’t jump in and make a low offer, they wait until the price comes down to a reasonable level." It’s a change from the heady days of 2014, when an East Hampton estate sold for $137 million, breaking national home price records. At that time, the median Hamptons home price was posting annual gains of as much as 26.5 percent, rising to $975,000 in the last three months of 2014, a report by Manhattan-based appraisal company Miller Samuel and brokerage Douglas Elliman shows. With such dramatic gains not so long ago, “the market got away from some of the sellers in terms of their expectations about what their homes were worth,” said Martha Gundersen, an associate broker with Brown Harris Stevens in East Hampton. In 2014, “I began to think there was no shame in overpricing your home — that was gone, just like there’s no shame in social media,” said Jonathan Miller, chief executive of Miller Samuel. But for properties that have lingered for months or years without a sale, some sellers have grown more willing to meet buyers in the middle, he said. “High-end sellers that have been stuck for several years with aspirationally priced listings are becoming much more negotiable, because they can see more listings coming in,” Miller said. In some instances, the most eye-popping figures were “really an inflated price to begin with,” Desiderio said. This year’s federal tax overhaul also could be playing a role, as luxury home sellers and buyers alike try to figure out what impact the changes will have on their bank accounts, brokers said. Tax rates have fallen, giving a boost to those with high incomes. However, homeowners face a new $10,000 cap on deductions for state and local taxes, limiting the tax benefits of homeownership. In the Hamptons, luxury properties can come with annual tax bills of $150,000 to $200,000, Brennan said. “If you can only take $10,000 off that for your taxes, that’s quite a big difference,” he said. Some luxury buyers are seeking out properties with somewhat lower taxes, in communities such as Sagaponack, said Diane Saatchi, an associate broker with Saunders & Associates in Southampton. And it hasn’t helped that many weekends have been plagued by snowstorms, rain and unseasonably cold weather, keeping would-be buyers from venturing out in search of a summer home, Saatchi said. Some current sellers of high-end homes are taking their cues from those who have discounted their homes and found buyers. A 25-acre property in Wainscott known as Burnt Point, whose 18,000-square-foot home was designed by the late architect Francis Fleetwood and is situated on a private peninsula on Georgica Pond, is now listed for $59 million, a discount of $36 million from its 2015 listing price. In Sag Harbor, former "Today" show anchor Matt Lauer has dropped the asking price for his 25-acre estate to $12.75 million, a cut of more than $6 million since it was listed in 2016. A waterfront home in the Southampton neighborhood of North Sea is listed for $11.95 million, down $2 million from its asking price four years ago, right after the Kardashian family chose it as a summer rental. Hamptons homes are still not selling cheap, of course. The median price for luxury homes — that is, the top 10 percent of sales — was $6.6 million in the first three months of 2018, up 27.5 percent from the same period a year before, the Douglas Elliman report shows. Thirty-seven homes fetched prices of $5 million or more in the first quarter, up from 27 in the first three months of 2017. That increase is due, in part, to sellers’ willingness to reduce their asking prices to reasonable levels, since now the deals are actually getting done, Miller said. The Hamptons housing market also is benefiting from its close links to Wall Street, with stock market gains in recent years and bonuses spurring home sales, brokers and financial experts said. The average financial industry bonus increased by 17 percent to more than $184,000, with a total bonus pool of $31.4 billion last year, a recent report by the New York State comptroller shows. Over the past 12 months, the S&P 500 stock market index is up by more than 10 percent.